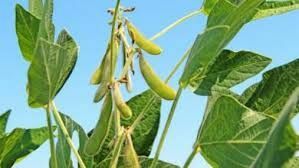 (Washington)–Members of the American Soybean Association Action Partnership (ASAAP) met Wednesday in Washington, D.C. to discuss pursuing and protecting the interest of U.S. soybean grower’s, with a focus on trade in Cuba and the status of soybean oil. ASAAP comprises representatives from multiple partner companies, including technology providers, equipment manufacturers and others, combined with soybean organizations at the state, regional and national levels. Through collaboration, ASAAP works to identify challenges facing the soy industry and develop strategies to address these issues. During the meeting on Wednesday, Martha Scott Poindexter, of Bunge, USACC; Idira Groero Martinez, third secretary, and Sergio Vazquez, first secretary of the Cuban interests section, discussed opening the Cuban market and its implication on the soybean industry. The market status and trends in soybean oil was also a topic of discussion at the meeting. Members heard from Shannon Herzfeld, vice president of Archer Daniels Midland Co.; Erik Heggen, vice president North American r Refined Oils, Archer Daniels Midland Co.; and Beth Holzman, director of government relations, Archer Daniels Midland Co.
ASAAP members concluded the evening by paricipatiing in the a Celebration of National Ag Day Dinner, featuring special guest speaker Under Secretary of Agriculture Michael Scuse.